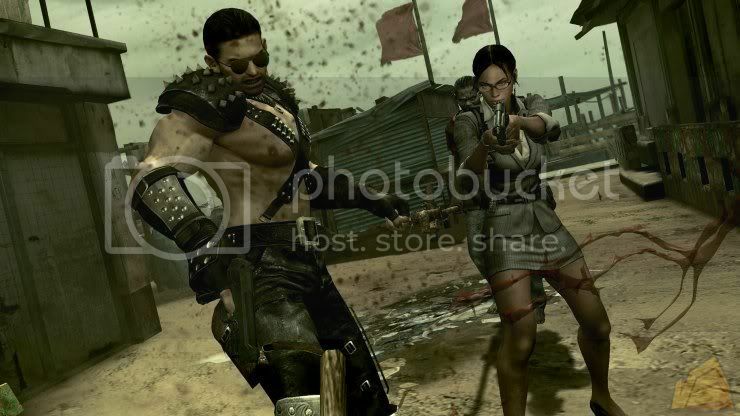 Capcom has confirmed a US ship date of September 15th for the PC version of Resident Evil 5. One of the most compelling features of the version for the PC is the support for Nvidia Geforce 3D technology. Monitors with 120Hz refresh rate monitors and a pair of Nvidia Geforce 3D goggles (for $199) and users will be able to experience cool 3D effects in the game. Also, the PC version will use smoother anti-aliasing and feature more enemies; the Mercenaries mode will support 3x more enemies on screen. Chris and Sheva will have new unlockable costumes.